You think you have dodgy pundits? You have no idea what I’d give to be infuriated by the likes of Ian Wright or Jonathan Pearce. You should try listening to the bloke in the picture above. Oh my. 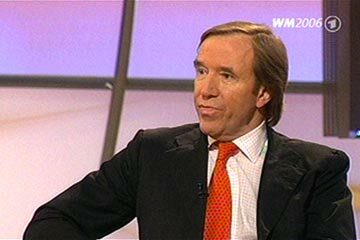 To say that he’s a charisma-free zone would be an injustice to, say, Steve Davis… he makes Alan Hansen sound as entertaining as Bill Hicks. Hey ho, the national anthems are playing — signing off for now.